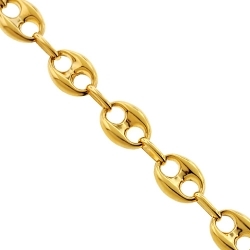 Change your look entirely wearing our luxurious mariner link chain! 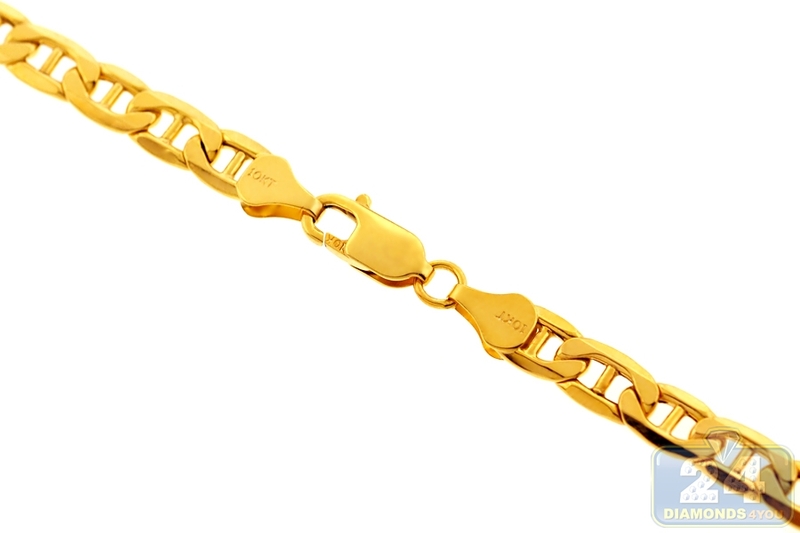 Gorgeously handmade of Italian 10k yellow gold, it has very smooth finish, and shines a lot. 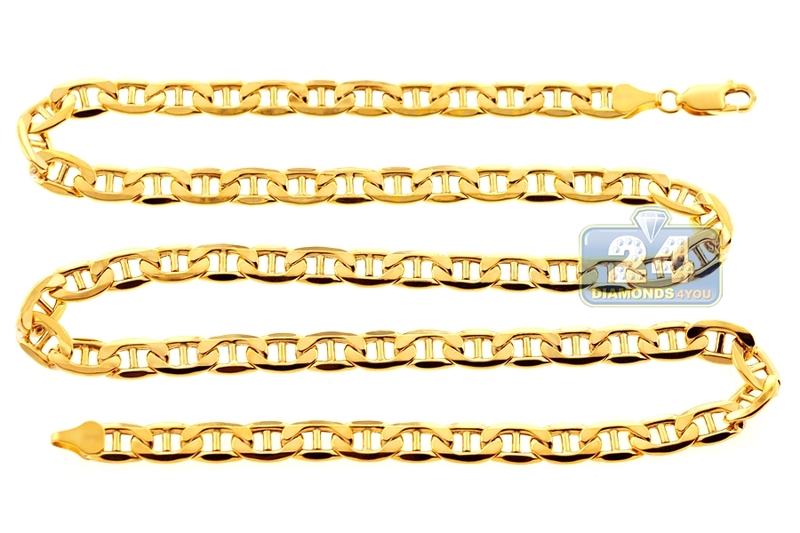 The 10k yellow gold necklace features 7 mm in width, and is available in 24, 26, 28, 30 or 32 inches in length. 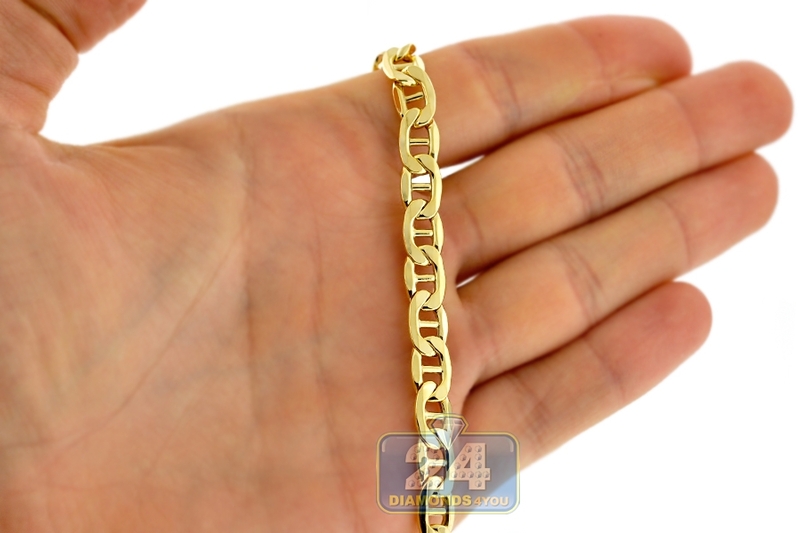 It is also secured with a user-friendly lobster claw closure. 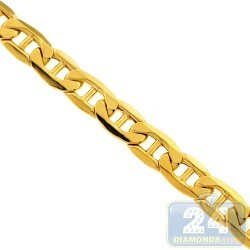 This men's gold chain is a perfect addition to any jewelry collection!